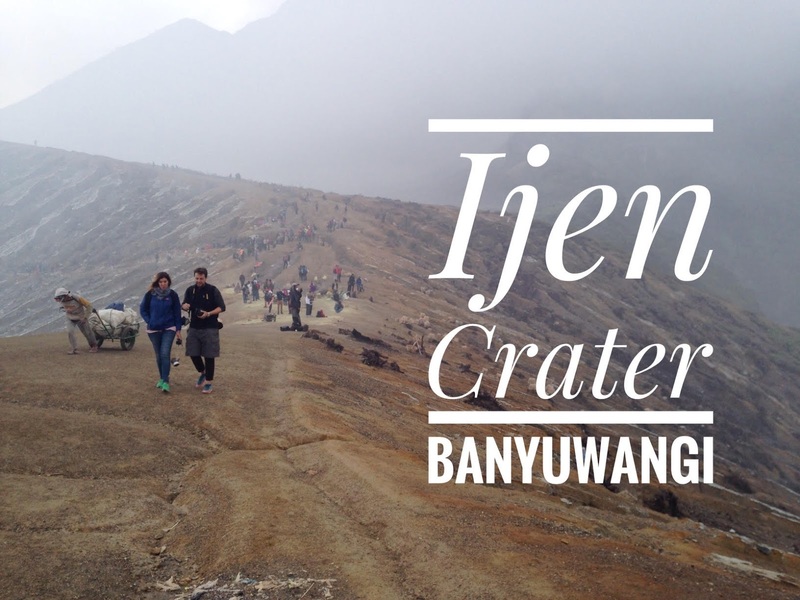 Have you tried hiking a volcano, especially one of the world's most dangerous volcanoes - Ijen Crater. It was one of my best experiences i was invited to visit and to hike this beautiful but dangerous mountain. I've recorded and edited one video clip of Ijen Mt. Let's check it together. To be at the top of Ijen you have to hike 3 kilometres up the hill which is very steep and very dark. The trip started at midnight at the hotel lobby and it took us 2 hours drive to the base of Ijen and it took us 3 more hours of hiking to the top. I reached the edge of Ijen around 5.30 AM. and I felt very exhausted because of sulfur fumes that hurt my eyes and the smell of it made me breathe very heavily, even though I was wearing a 3M mask. Banyuwangi is a place where you can find really nice viewpoint very easy. I took this video at the restaurant we stop for lunch on the way to Baluran National Park. First thing I remember about this park is its super long entrance. It is about 1.30 hour from the main road by car. The park hosts 444 species of plants and 26 species of mammals, so there are many things to do at this park. For me, I enjoyed walking around and my friend was enjoying water colour painting. 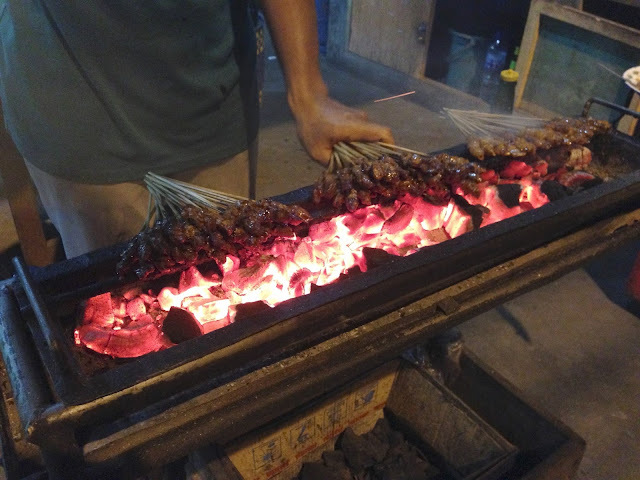 I was very lucky to have chance to hangout with my friends to find the best sate shop in town for dinner. The shop was located in Banyuwangi city, just 10 minutes drive from Santika hotel where we stayed. Lombok is an island in West Nusa Tenggara province, Indonesia known for nice beaches and for being the motor-vehicle-free island. To get to Gili islands you have to take 15 minutes speed boat ride. These are the top 10 things to do in Lombok. At this village, you can see the traditional show, explore how people live and do some traditional Sasak Sade weaving. There are also many shops that sales hand-made cloths and souvenirs. It will take you about an hour to explore the whole village. I took this speed boat after we finished with Sasak Sade Village in order to cross to Gili Trawangan island. The boat is super fast and very shaky but it was good to try it at least once. When you walk along the Gili walking street, you will come across a food market in the middle of the street. Every shop was serving amazing food. 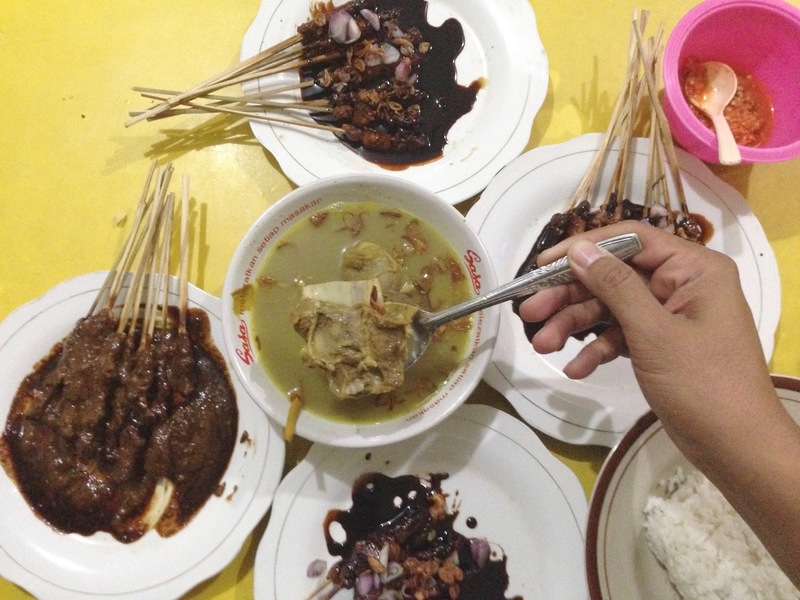 The "must try" is Sate and Bakso. They also sell beer at the low price so you can order your food and have a drink just right there on the street. 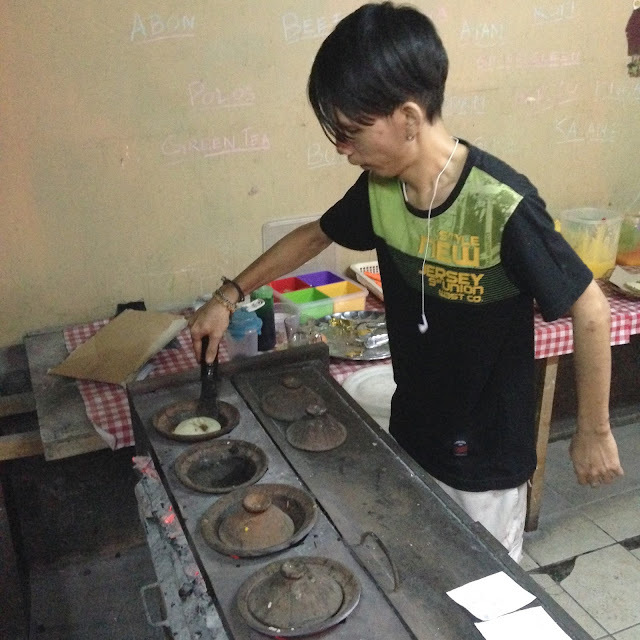 Here on Gili island, I had found one very nice cooking school. Probably, there are more than one, so you can ask for more information at your hotel or a tour guide. This one is located on the Gili walking street. 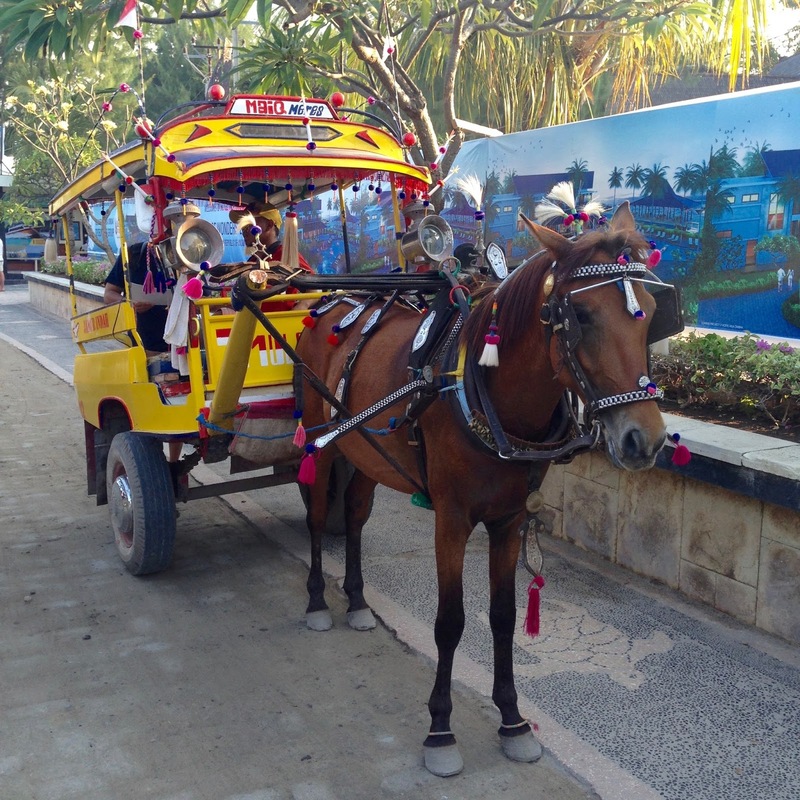 As I have mentioned before, Gili island is motor-vehicle-free island so the only options to get around are walk, cycling or take a horse carriage. The ride is not cheap, they charge you per person not per trip. Beware to ask for the exact price before taking a ride. The beach on Gili Air island (Air is mean water in Indonesia) is the most famous one. Most of the people enjoy sun bathing, some enjoy drinking but I enjoyed eating as well. There is a sunset view point on Gili island located on the southern tip of the island. 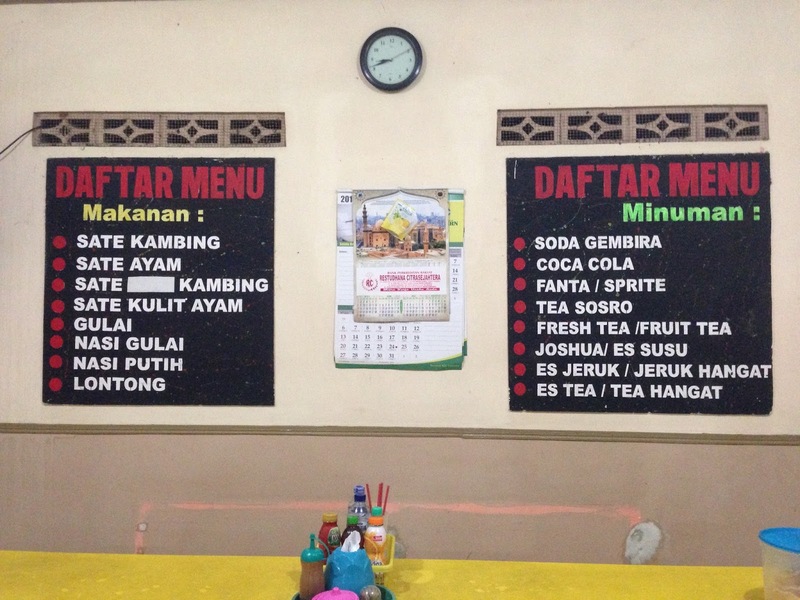 It's about 3 kilometres from the walking street. 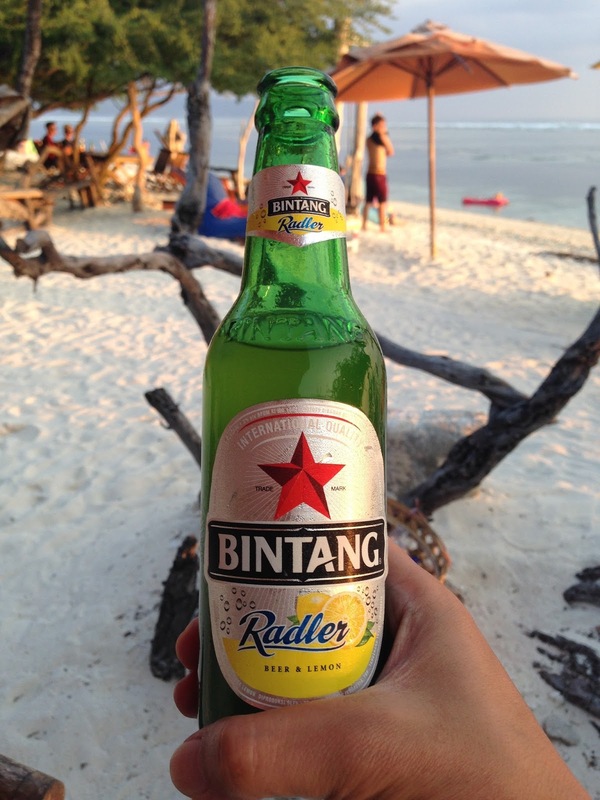 There are many beach bars to enjoy watching the sunset and having a Bintang beer is a must also. Everyone knows that Bintang beer is a famous beer but not everyone knows that Bintang Radler is a light version of Bintang with a twist of lemon and with less alcohol (2%). Hmmmm, so refreshing! 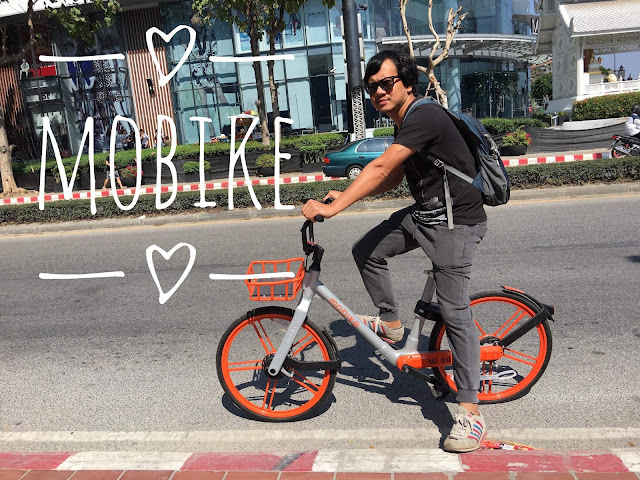 To rent a bicycle will cost you around 50,000 IDR (3 USD) and it's a lot cheaper than a horse taxi. 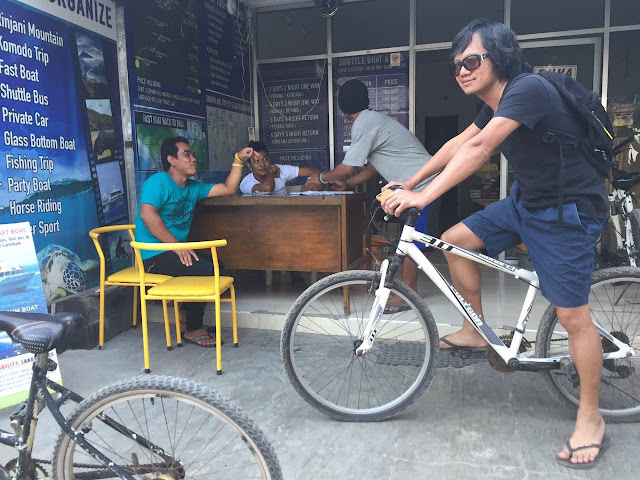 The Gili island is oval shaped and you can easily cycle around to enjoy the view and to see many things. Again, be careful of the horse wagons on the road. 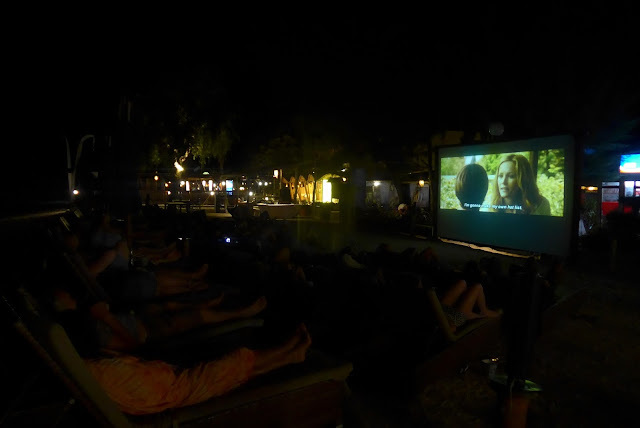 I found this open-air cinema just opposite my hotel and I'm didn't go to watch it. I just wanted to see what are they doing in the dark. When was the last time you really had fun playing at a waterfall, Bantimurang is the place where you can enjoy fresh and cool water. This place is also good for picnic or relaxation with your family. The water level is not high and that's good for your children's safety. There are 2 caves at this national park, I had explored just 1 cave and I think that's enough. To get to the cave we need to walk about 1-1.5 kilometres. At the entrance, they have flash lights for rent. The cost is around 100 Thai Baht (can't exact remember in IDR) Inside the cave is quite dark, and it's short walk to just 100 meters. Nothing much to do but you can enjoy creating some lighting photo just like my friend did. Bakso is a noodle dish with meatballs - Indonesian style, actually you can find it everywhere but the one I've met is Bakso mobile. Yes, it is motorcycle Bakso. This idea is really good and makes this Bakso shop more interesting to try. I found this motorbike at Bantimurang National Park. In Makassar, if you walk along the street, you will see many interesting stuff such as street food, sweets or some snack shop. This one I found once our group got lost on the way back to our hotel. These sweets look like Pancake, using wood to burn and you can choose the stuff inside between cheese or chocolate. 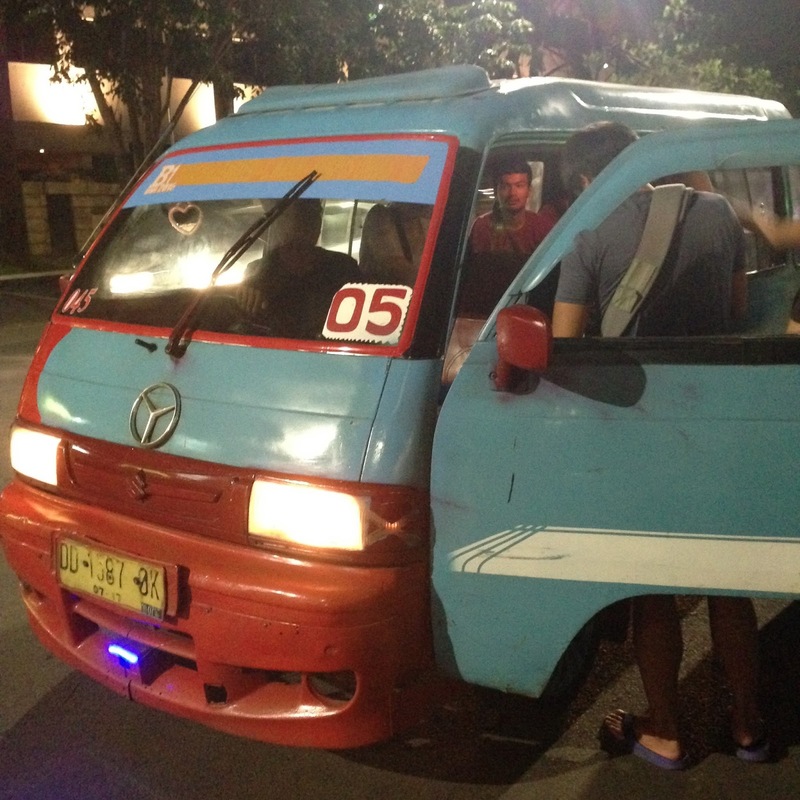 It's actually not taxi, Angkot is a type of public transportation with no fixed route. Once you see them just wave your hand and tell the drive where you want to go. Don't forget to ask for the price. If you feel it's too expensive just let them go and waiting for the new one. As you know, Makassar is a port city. It's a good chance to go for a boat ride. For me, I am happy to take a boat (not too big not too small) to Kodinggareng Keke island. Starting from the port named Kayu Bangkoa, it takes about an hour to the island. The air is fresh and the water is clear. I saw this cool stuff from my boat and took a short video clip. It looks so extreme and like a fun sport activity. I also don't know the cost for the rent nor how to play it as well. As the sea water at Kodingareng Keke island is really clear, it is a great opportunity to jump into the sea and take great photos or videos. Yes, use your hands instead of spoons and forks. When I was very young I tried to do this once. Again here at Samalona island, Makassar. This island is quite small and there are only the villagers. Their aren't many choices of food, just 3-4 things but to eat with hands make it super delicious ever!! 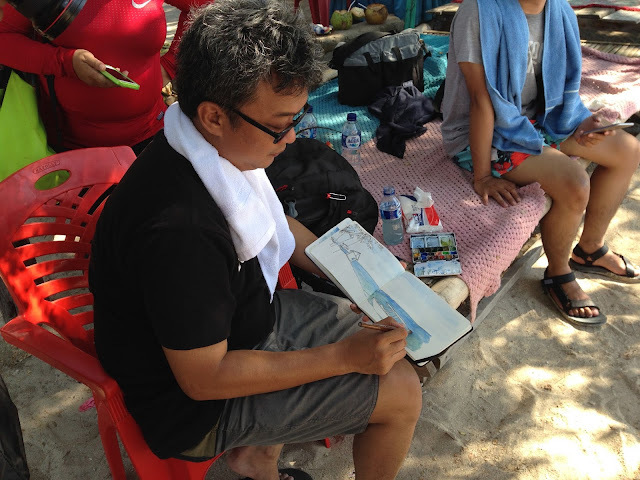 @motulz my Indonesian friend, he always paint wherever he is. For some people and for some reasons they have their own way. Like travelling, most of the people like to take photos or videos but some people love to just sit down relaxing and do some painting. For this activity you do no need many things: just colour, paintbrush, sketchbook and water. Let's paint! There is a special place for watching beautiful sunsets in Makassar called Losari. It looks like a park nearby the sea and it's the best spot to watch a sunset in this city. Not only sunset but a lot of things to buy and if you feel hungry, there is a food market opposite Losari. One thing you should know while you're in Indonesia, it's quite hard to buy beer in some places, especially in Muslim cities. 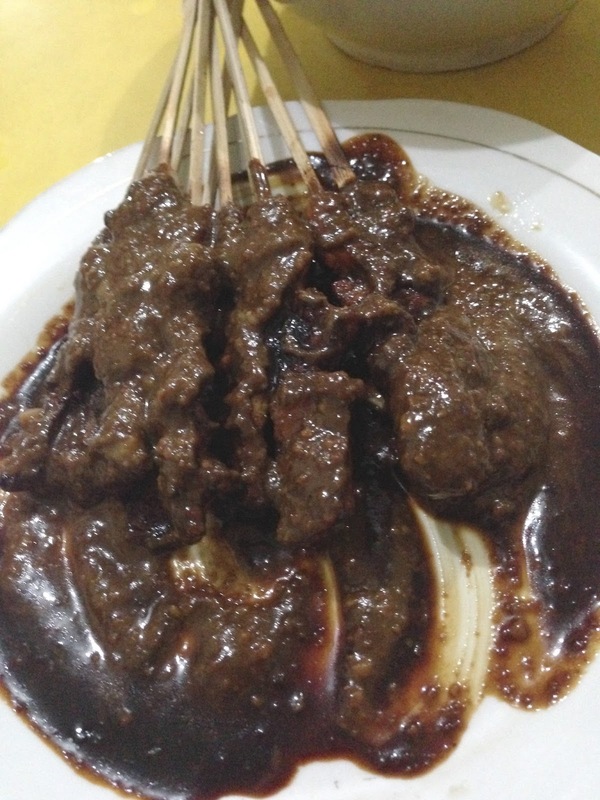 Makassar is not an exception. You can only buy beer at the hotel bar or karaoke. You can not buy it from any convenience store. That's the reason for me to do karaoke. On the end, it turns into a good experience with your friends and you learn the Indonesian as well.